Share the post "Shopscotch.com, Online Dating Leads to Marriage Kids & Successful Startup"
It’s crazy to think, but online dating really does work. My husband and I are proof of it. I met Brian on eharmony back in 2007. At first glance, we had a few things in common, but not a lot. Brian is a software engineer and I a music teacher. How much can an engineer and a music teacher possibly have in common? I wasn’t really sure at first, but eharmony seemed to think that we were the perfect match, so I thought I’d give it a chance. We exchanged emails back and forth for a few weeks until we decided that meeting was the next logical step in our blossoming relationship. I was very nervous and yet excited to meet the face behind the emails. When Brian and I finally did meet, we came to the realization that we lived in the same apartment complex. My first thought was “Oh no!! What if this doesn’t work out? How awkward would that be?”. Luckily, it did work out. My husband and I have been married for almost four years and have two beautiful boys. When we had my oldest son, I decided to be a stay-at-home mom so that I could be present for every moment in my kids’ lives. Of course, “stay-at-home” to me means still doing a million different things. However, it wasn’t until after I had my second child that my daily activities got that much more challenging. Even grocery shopping became extremely difficult, let alone trying to shop for household goods or clothing. Right around this time I started doing a lot more of my shopping online. It is much more convenient than packing up two kids in the car. However, I quickly become frustrated at how often I would have to go online checking and rechecking websites to try and find the best deal for things (especially clothing!). It seemed to me there had to be an easier way. What if there was a website that could monitor prices for me and let me know when the products I want go on sale? 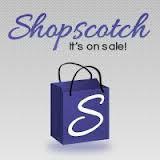 It was then that I came up with the idea of Shopscotch.com. Of course, Brian was the first person I shared my idea with. Let me tell you, I have never been so glad to be married to a software engineer! Brian was convinced that he could build a product that would make my life easier. He took my idea and made it a reality. Together we built Shopscotch, an online shopping assistant service that watches the prices of products you want and sends you a notification when the price drops. It has been a wonderful opportunity for me as a stay-at-home mom. I get to work on something I am truly passionate about all while helping other moms save time and money. When I met Brian online five years ago, I never dreamed that we would be so complementary as to start a company together. Marrying an engineer was the best decision I have ever made.